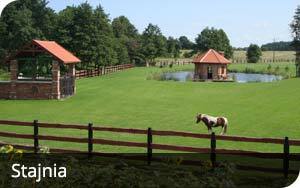 Within the residence there is a stable where the horses live Unemployed race Hucał. The place is ideal for agrotourism in the saddle. We offer riding lessons, which allows you to improve the ability to drive a person at any age. In our barn you will find free boxing for your pet. The area residence consists of several fenced paddocks and pastures. 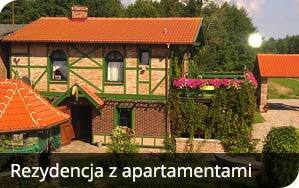 Place located just 30 km from the seaside resort of Rowy, in the neighborhood of the Slowinski National Park away from the hustle and bustle. Two stylish apartments with a fireplace and full access to a kitchenette. Ideal for families with children and anglers. Two determined and well prepared barbecue area. The area residence has parking, is fenced and monitored. 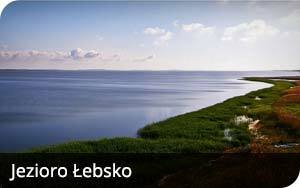 The third in terms of area lake in Poland, whose shores are immediately adjacent to our residence. Staying with us is a paradise for anglers. Unfrequented and private shores of the lake, let alone and focus on fishing. You can easily catch the carp, trout, sturgeon and eel. We offer the possibility of renting a boat. Nearby are held kayaking, in which you can participate. The shore of the lake allows for a quiet holiday, swimming and sunbathing. © 2014 Rezydencja Lisia Góra. Wszelkie prawa zastrzeżone. Ostatnie wolne terminy ! Sprawdź !